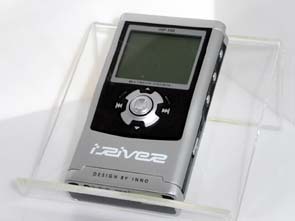 iRiver is one of the leaders in CD/MP3 players production. This South Korean manufacturer goes with modern solutions which outsmart most competitors' models in design and specification. Four years ago ReignCom, a leading manufacturer in South Korea and expert in R&D, founded a subsidiary which at that time employed only 5 people (at present there are over 200 people working all over the world). Two years ago SonicBlue offered ReignCom to become partners in CD/MP3 players production as the former had no experience in this sphere. At that time ReignCom didn't make finished products itself though the company had enough expertise in optical technologies. The production facilities were soon found in China. 9 engineers with their families were sent there to control the process all days through. Soon, SonicBlue players under RioVolt trade mark became the best-selling players in the world. At that time the most popular models were SP100 and SP250 (River iMP-100 and iMP-250 respectively. These models couldn't be distributed on the U.S. territory). 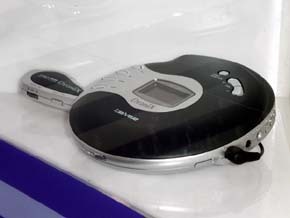 On the launch of iMP-350 Sony offered iRiver to buy the license for its production because it was the slimmest and compact player ever produced. In 2001 iRiver released SlimX 350 which was a great success in Korea. 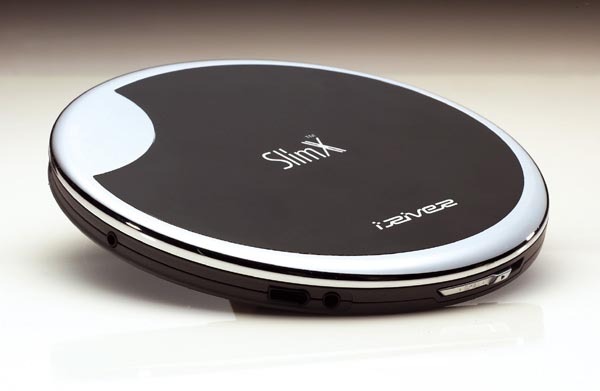 Although the Korean market swarmed with manufacturers of such equipment, SlimX 350 was Number One in the sales volumes occupying 69% of the whole Korean market. 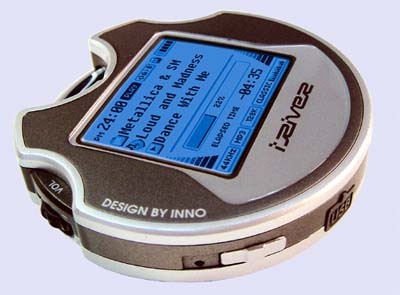 In 2002 iRiver entered the U.S. market. Its advent generated considerable excitement, and SonicBlue wanted to sell SlimX under its trade mark as well. SlimX iMP-350 comes in two versions - with 8 MB Flash memory (Type 1) and with 16 MB (Type 2). Type 1 includes 36 languages, and Type 2 - 37 including Chinese. The rapidly growing volumes were on account of this language. That is why be careful when downloading a new firmware version for your SlimX iMP-350. The next solution was SlimX iMP-400 which had only 16 MB memory in order to avoid any problems with modifications. 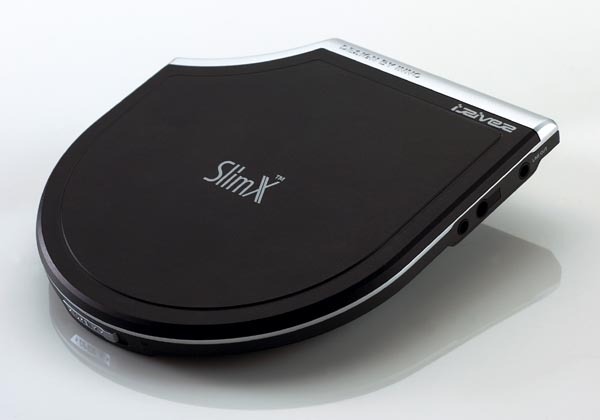 Finally, at CeBIT the company demonstrated two new models: SlimX iMP-500 and iMP-550. MP-550 is only 13.7 mm thick! Its diameter is a tad bigger than that of a CD. iMP-500 is a little thicker (13.9 mm) but its design and functionality are at the same high level. Both solutions have stylish cases that combine chrome-plate parts and black upper and lower panels, a perfect match for a luxurious car. Both models can play up to 50 hours with the standard AA batteries. Both have an optical digital output, MP3 and WMA support. The 30-min antishock system distinguish these models even more. The mass production of the new models is scheduled for July and August. 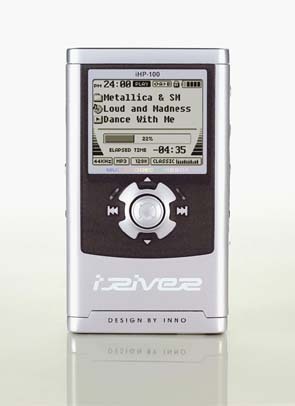 If they are quite expensive for you, iRiver offers another solution, iMP-150, which also sports a great deal of functions (complete remote control, though an FM tuner is lacking). This player is a bit thicker because of an LCD display placed on top. This player is offered at $130-160. The company carefully studies users' needs and wants. 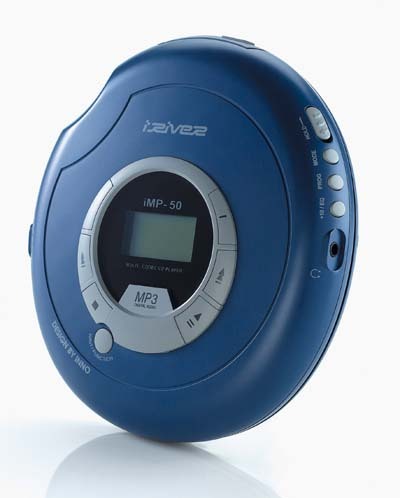 Users who want a very cheap CD/MP3 player are not disregarded either. The developers removed an FM tuner, made a remote control an optional component and gave birth to iMP-50 expected to arrive by the end of May. Marilyn Chen, in her interview to iXBT, said that they could cut the price even more by removing a network adapter but it could cause problems in Russia and some European countries because of the local electric network standards. The player works as long as 16 hours and supports 36 languages. It's interesting that the LCD display is placed underneath. I don't know whether end users will accept this marketing step but I'm glad to see that the company tries to bring something original into ordinary CD/MP3 players. The expected price of iMP-50 is $ 120. The new iRiver iFP-300 flash players can connect to a stereo-out of any player and code audio content in the real-time mode copying it into its built-in memory. 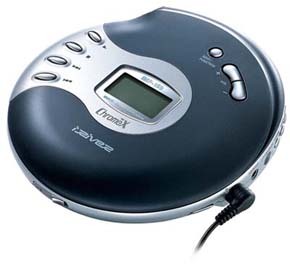 For example, using iFP-340T with 512 MB Flash memory you can record audio files into the player without PC mediation. However, iFP-300 has a USB connector as well so that you can download music from PC. Using an FM tuner you can record radio broadcast, and the built-in microphone allows making voice note any time. Like iFP-100, iFP-390T and 395T, this one comes bundled with a special case with belts. They really come in handy while jogging as you can easily fix the player on your hand. JukeBoxes - HDD based players - were also demonstrated at iRiver's booth. iHP-100 contains a 10GB hard drive, supports MP3, WMA and AAC and can work as long as 14 hours. Files come into the player via the high-speed USB 2.0 interface. 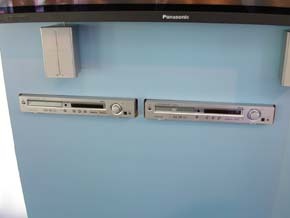 iHP-100 sports an FM tuner, a remote controller and a belt clip. iGP-100 uses IBM Microdrive which makes it compact in spite of the large built-in memory (1.5 GB). 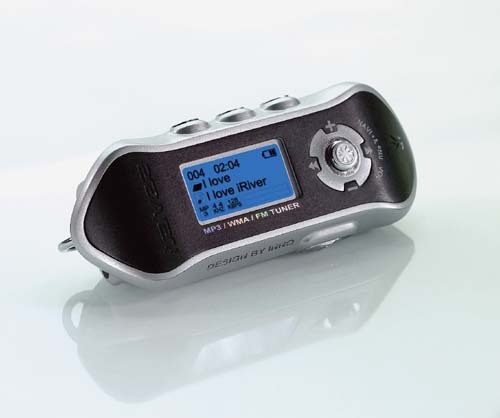 IGP-100 is not deprived of an FM tuner, remote control and a belt clip. The mass production of iGP-100 is scheduled for May. By the way, many users wonder why iRiver's players come to the European and Russian markets later than they appear in South Korea. The company explains that if any errors are revealed, it's much easier to detect and correct them on the relatively narrow market. 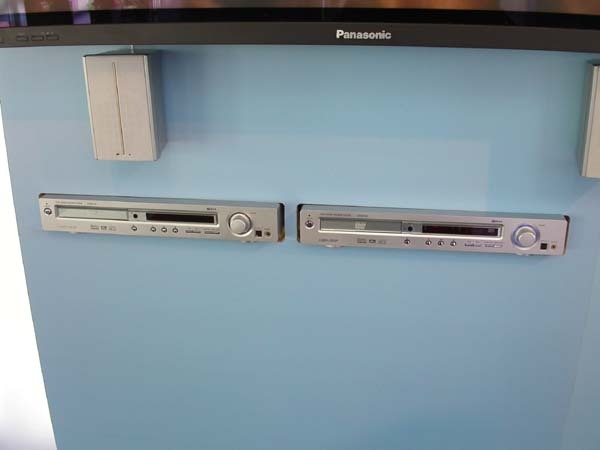 Finally, I should mention the new field of application dealing with DVD receivers. 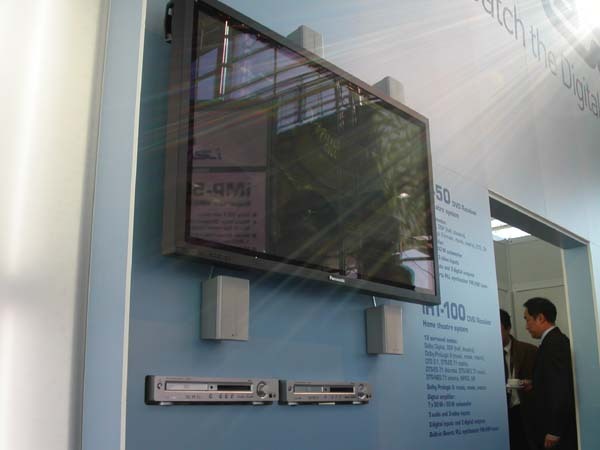 iHT-50 and iHT-100 are modern devices supporting Dolby Digital EX, Dolby Digital ProLogic II, DTS 5.1/7.1 standard. At the moment these solutions are positioned as multiformat DVD players supporting MP3, HDCD, RDS and MPEG. iRiver said that at the moment the price of such devices is quite high for a successful competition. But the firm makes every effort to cut costs of the receivers.